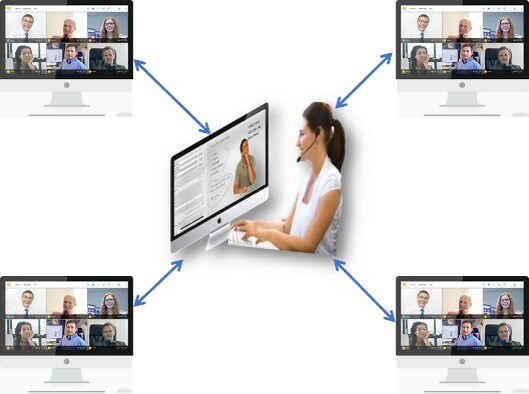 Your team will take away a practical structure for designing and facilitating collaborative webinars. They will leave with tools and techniques that will engage learners throughout the webinar, taking their webinars from a one-way presentation to a truly collaborative learning experience where learners are doing for 70-80% of the webinar time. They have not designed or facilitated webinar before and now need to start to do so. They do design and facilitate webinars but they tend to be a one-way presentation. To identify a piece of content that can transferred via a webinar, create the webinar using a structured webinar template and then create and facilitate the webinar. Facilitate their own webinar. The can practice this within a safe, familiar environment of the training so that they have the confidence to facilitate their webinar as a ‘real’ learning module with ‘real’ learners. Create and manage breakout rooms. This lets them set challenges/scenarios, form small groups of learners and put them in separate virtual rooms to work out their solution. These solutions can then be shared with the whole group.